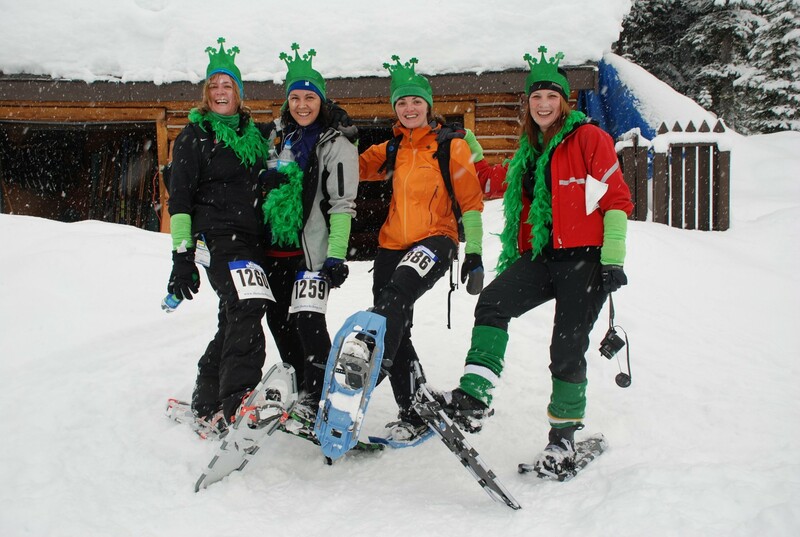 Lake Louise was bombarded by a host of leprechauns on March 16 as the fourth annual Blitz Snowshoe Fun Run took place the day before St. Paddy’s day at one of Banff National Park’s most iconic locations, Fairmont Chateau Lake Louise. Flashes of green could be seen all over the frozen lake and in the woods as 150 participants, double the amount from last year’s Blitz, raced the 5K and 10K courses dressed in their St. Paddy’s Day finery. 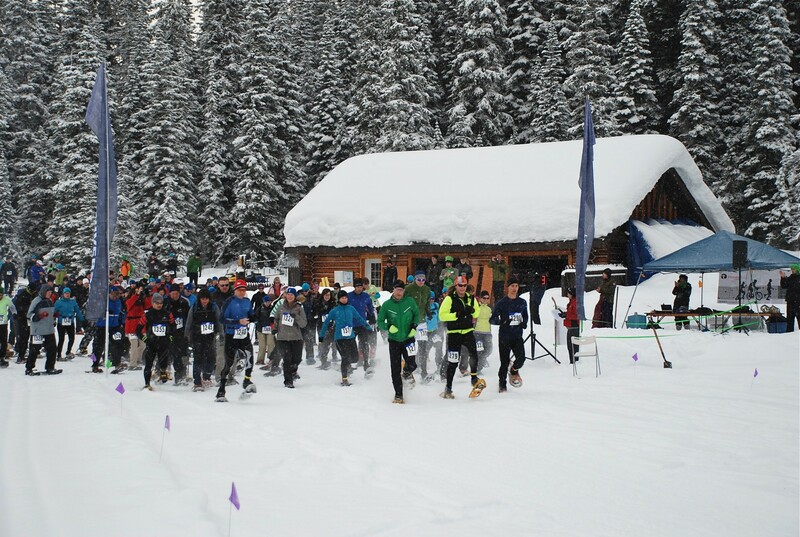 The increase of participants bodes well for races in the coming years including talk of a race series in the Bow corridor. 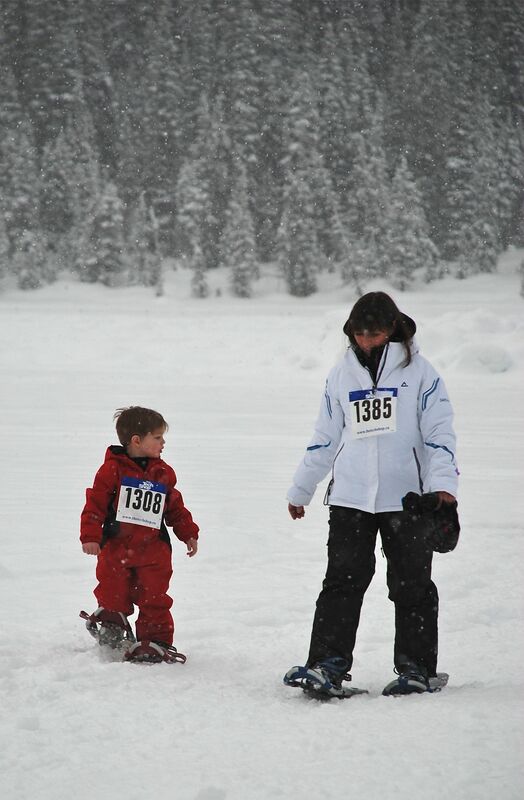 The Fun Run encourages everyone to come out and participate no matter what your level of snowshoeing, from die-hards to beginners and grandparents to toddlers. 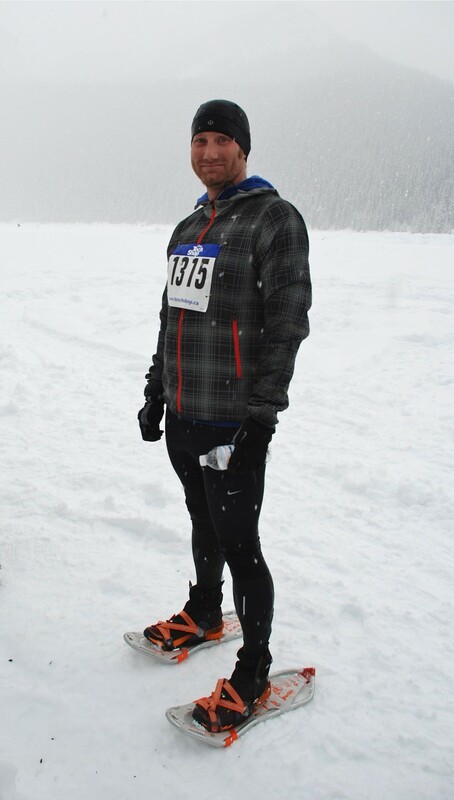 The 5K course was perfect for anyone trying snowshoe racing for the first time or those more interested in a leisurely pace as it was fairly flat along the lake and shoreline. Whereas the 10K course was more of a challenge with almost 300m of climbing up to Mirror Lake and back down in the last 5K. Tricia Kawahara, president and CEO of Blitz Snowshoe Fun Run, hopes more people will spread the word as to how much fun the Blitz is with bragging rights for the winners and many door prizes no matter what your personal best time was. Did I mention the homemade cookies, hot chocolate and coffee awaiting you in the beautiful chateau for a little pre- and post-race fuelling? The Green Team is all smiles! 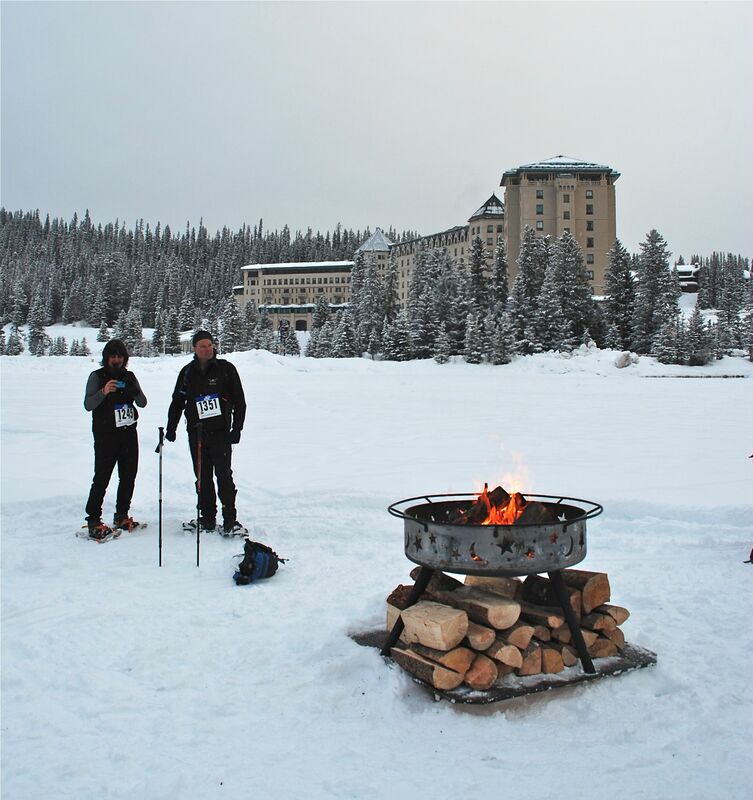 Davina Whitmore, Manager of Special Events & Product Development at The Fairmont Chateau Lake Louise, is excited to be hosting the event at Lake Louise and hopes to have it again next year. The Fairmont offers great room rates for participants and media alike. Bragging rights go to Mike Hamilton who came back to defend his 10K title from last year and David Jenniex took the 5K title for the first time, not bad for yet another newbie to snowshoeing. 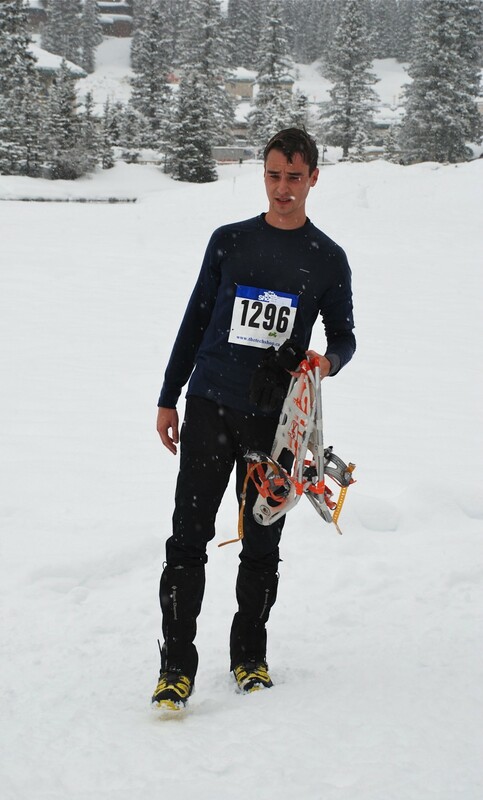 David Jenniex wins the 5K race first time on snowshoes! 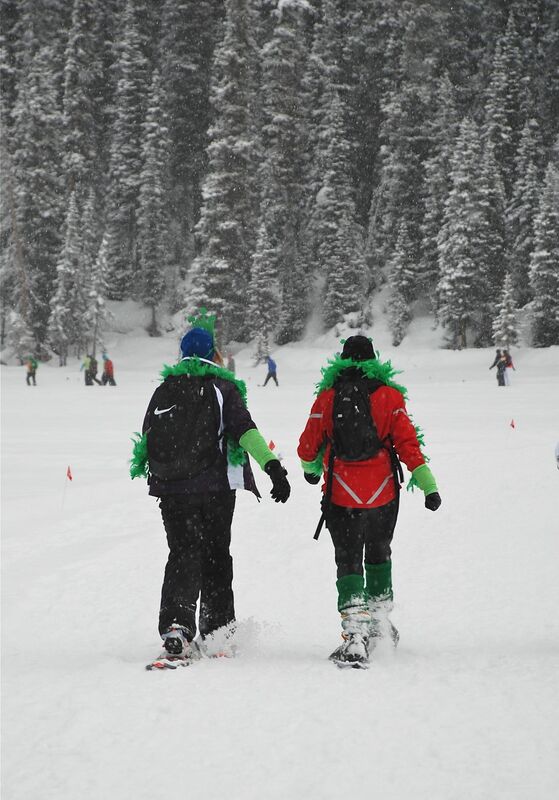 For more information on Snowshoe Blitz, visit http://snowshoe.blitzevents.ca. 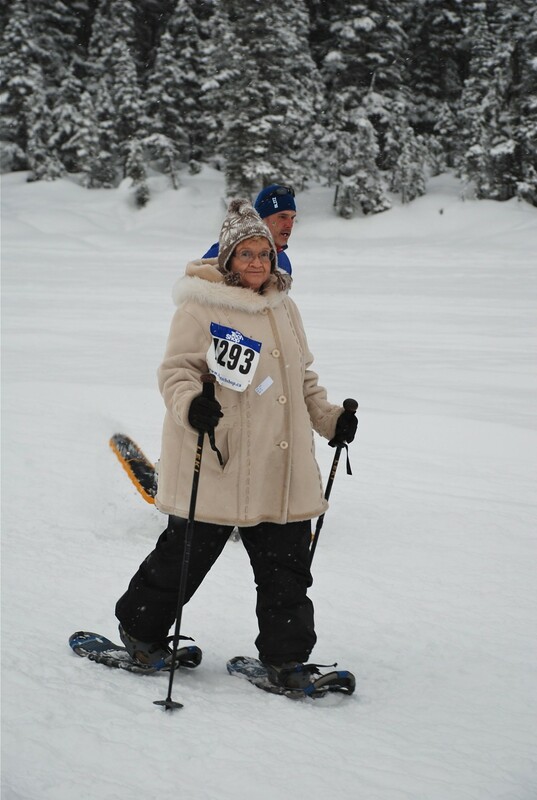 This entry was posted in Features, Homepage Featured, Snowshoe Racing by Cathie Lank. Bookmark the permalink. Thanks for the great article Cathie. Hope to see you next year!